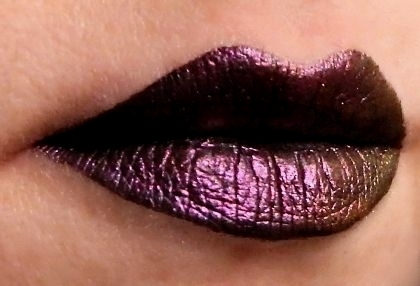 Cool pink sparkle on a black base which changes to a warmer pink, to bronze, then gold-green at an angle or closer to light. More sparkle-metallic than it appears in photo. May not be quite as long-lasting as the solid metallic colors due to large sparkle particle size.